34 faithful of Opus Dei ordained transitional deacons. The Prelate of Opus Dei, Monsignor Fernando Ocáriz, participated in the ceremony from the presbytery. Numerous relatives and friends of the new deacons were also present. Addressing the candidates in his homily, Archbishop Morga said, "Your ordination as deacons today, and your future priestly ordination, will make you pastors, as well as fishermen and sowers. Fishermen! Sowers! We can not just guard the sheep in the flock; we must also go in search of the lost sheep. We have to let down the nets, a thousand times if necessary, to get a good catch." "God sent his Son into the world out of love, and wants to enter into the lives of the men and women of our time, our culture and our society. The Lord sends us out to sow in this field, to fish in this sea: in this society that does not want to be disturbed and has a great power to numb those who would seek to awaken it." The bishop reminded the new deacons that the ordination marks them with a perennial sacramental character as servants: "We could say that this sacramental character reinforces what you already live or wish to live with the vocation to Opus Dei: service. Saint Josemaría was very explicit when he said that 'Opus Dei has come to serve,' and to serve with a humble and simple refinement, without waiting to be thanked." 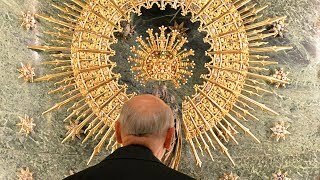 "The sacrament will mark you with a seal (the sacramental character) that no one can take away and that will configure you with Christ, who makes himself a deacon -- that is, a servant -- to all." Bishop Morga explained that this service expresses itself mainly in the liturgy and in charity. "In exercising your ministry, despite your weakness and sins, you will be a direct instrument through which Christ administers his sanctifying grace. Among the services administered by the deacon, both the proclamation of God's Word and preaching stand out: announcing the Word of God is, as Saint John Paul II put it, the first work of charity that we should offer to our brothers and sisters." 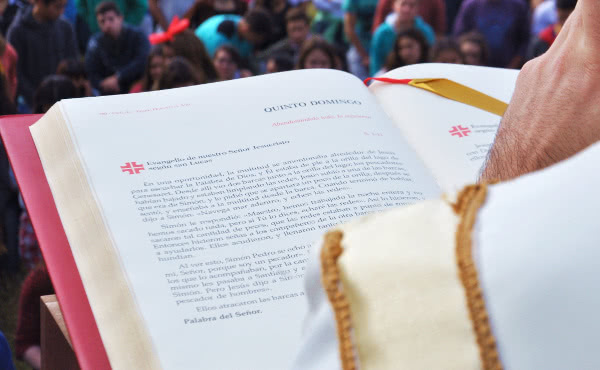 He also hoped that the example given by the new deacons in living Christian charity would help the entire People of God to acquire a "deaconal awareness," such that everyone will want to serve, following in Christ's footsteps.